Inspired by the history of the original gates which enclosed the 'City of London', I created a unique design product complete with an accompanying historical booklet. 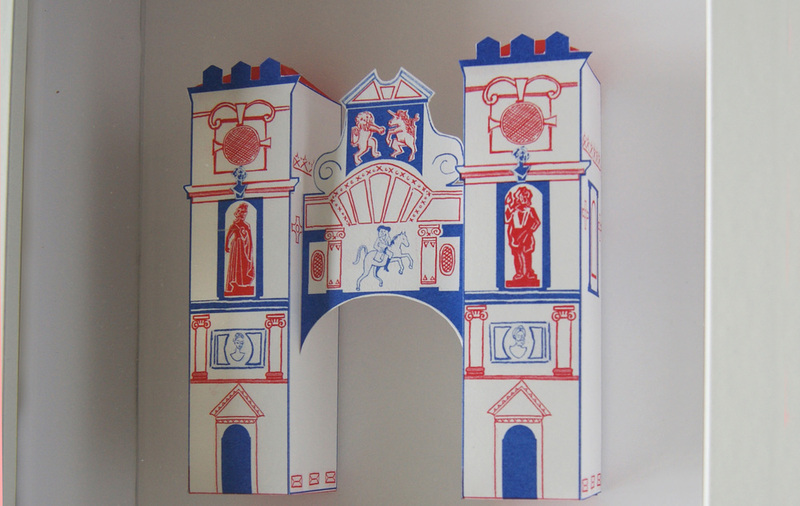 The model depicts the long forgotten structure of Aldersgate, recreated as a colourful paper structure. The motivation for the project came from a desire to create an affordable three dimensional image which could be easily replicated in multiple editions. The finished product is printed in vivid risograph inks and then hand constructed by myself. The model intends to illustrate the beauty of the original ancient structure, enhancing its reality while remaining historically truthful. The model and booklet can be purchased from my online shop.